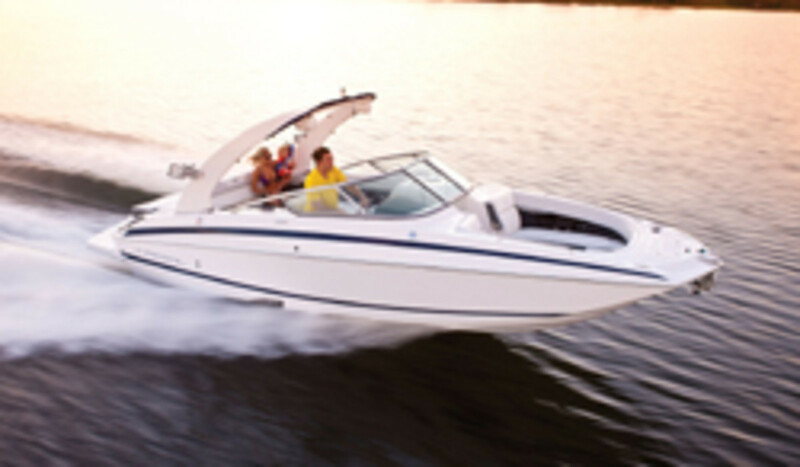 Regal said it has begun production on two all-new deckboat models with the Regal 27 FasDeck and the Regal 27 FasDeck RX. They sport Regal’s UltraLounge aft bench and convertible sunpad. The Regal UltraLounge has a multiposition backrest that converts from an aft-facing bench seat to a forward-facing bench seat, then to an aft-facing lounger and finally to a flat sunpad that is integrated into the cockpit arena seating. The aft portion of the sunpad can be lifted to a two-position, forward-facing lounger.